Most people are familiar with Loren Eisley’s story of The Star Thrower. At least they think they are. Most of us have heard a saccharine version of the story. The original version differs from the familiar version in some key ways, teaching us important principles about giving for impact. In the version of the story that has become so familiar, a girl is walking along a beach after a storm. The beach is covered with starfish drying and dying in the morning sun. One at a time, she picks up the starfish and hurls them as far as she can back into the sea. The girl ponders the question for a moment and, picking up another starfish, responds, “It matters to this one.” She then hurls it into the sea. This story teaches us a powerful lesson: that every single one matters. I worry, however, that the story also implies that we should be satisfied with helping one where many may be suffering. This familiar version of the story also leaves unchallenged the curmudgeon’s assertion that we can’t save them all, allowing us to conclude incorrectly that we can’t. In Eisley’s original story, the star thrower is an adult who is throwing starfish back into the sea, not from a sandy beach, but from a craggy, dangerous shoreline. There, he is approached by the narrator of the story who is perplexed by the star thrower. After pondering overnight what he saw, the narrator returns the next day to join the star thrower. In this version of the story, the message is almost the opposite of the familiar version. Rather than suggest the futility of trying to save all the starfish, the story implies we can save all the starfish if only we have enough star throwers. This in no way contradicts the notion that every individual is important. In fact, it reinforces it. If every person matters, then we should – we must – find a way to save them all. Let’s consider what that means, that everyone matters. That means that everyone, including people who are different from us or far away from us, is equally important. While we may see people in our family, our neighborhood and community as being more deserving of our love and attention, ultimately we should recognize that every human being on the planet has an equal claim on the world’s resources. For most of us, this rings true when we think of starving children in Africa. The principle, which I hold is universally true, must also apply to felons. For most of us, this represents a bigger leap. Consider, however, that a program or effort to help reintegrate a felon into productive society not only helps the once and former criminal, but also helps society. If that individual returns to prison, it not only creates a public expense for care and feeding, but it also means that some new crime has been committed, and some additional cost has been suffered by the public. Everyone – every single one – matters. If everyone matters, how do we help them all? One of the key principles is to give with an eye on impact. That is, we need to give our time and money to organizations that actually make a difference. As we focus on having impact, we need to measure impact. Let’s consider our felons for a moment. If we focus on impact, our questions shouldn’t focus on the number of people a program serves, but on the outcomes of the program. Consider a program that provides training to recently released prisoners. It shouldn’t matter how many people are trained (an input measure), nor should we be concerned about their test scores (a preliminary output). We should, instead, be focused on outcomes like the number of people who get good jobs after completing the program or the number who don’t return to prison – especially as compared to groups not participating in the program. Traditionally, philanthropists have put their money where their hearts are. Increasingly, however, sophisticated donors are measuring outcomes for impact. This shift is driving improved results. The trick is to scale up the programs that actually work. If you have a program that reduces recidivism (the rate at which ex-convicts return to prison) in a meaningful way with a group of 100 or 1000 participants, we need to find ways to scale that up to address the entire relevant population. We need to recognize, of course, that not all program candidates will be a good fit. A program that teaches basic job skills, for instance, may be of little use to an ex-con with a college degree. As donors, we should be looking for ways that our money can help a program scale up. If we can use our donor dollars to help organizations find permanent funding or program revenues that will support increasing scale, so much the better. Increasingly, we are seeing for-profit social enterprises having impact at scale. Tom’s Shoes, a familiar for-profit shoe brand that gives away a pair of shoes for every pair it sells, may have put more new shoes on the feet of poor children who didn’t have shoes than any nonprofit in history. There are many old-school examples of for-profit businesses operating in what is often thought of as a nonprofit space, including hospitals, universities and private K-12 schools. 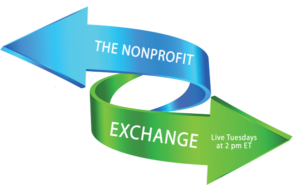 Nonprofits are increasingly seeking to generate program revenues to help fund their operations. One of the great things about for-profit businesses driving social impact is that they can attract investment capital. There are orders of magnitude more investment assets in the world than there are philanthropic dollars available. By tapping into the former to drive impact, we have the potential to see more people lifted out of poverty in this generation than in any generation in history. Crowdfunding is just now beginning to create a path for ordinary individuals to use their money as investments to drive impact. Kiva is the best-known example for ordinary investors. Anyone can go to Kiva and lend as little as $25 and watch that money be returned over time to their account so that they can lend it again—and again. Given the nearly 100% return of invested capital on Kiva, if you lend a new $25 each month, in five years you’ll have accumulated a portfolio of $1,500 that you can constantly recycle there for good. Some impact investments, as they are known, are yielding much higher results than just a return of capital. Most have traditionally been limited to the most affluent individuals and institutions, but as investment crowdfunding grows, ordinary investors will get more and more opportunities to invest money for impact with financial returns. Many programs we hope to see scaled will be funded in their early stages by a growing group of donors who style themselves as venture philanthropists. Many of them have a venture capital background and actively apply entrepreneurial thinking to the nonprofit arena. By focusing on outcomes rather than inputs, and funding programs that have great potential to scale, they are creating new nonprofits that have more potential for impact than many we’ve seen in the past. When you deliberately seek to maximize the impact of your money for good in the world, you become a star thrower. You join the ranks of countless other star throwers who, with a little time, some innovation and hard work, can eradicate some of the world’s biggest problems by remembering that the ultimate implication of “every one matters” is not that we should be happy having helped just one, but that we together have the responsibility and the opportunity to help every last one. Devin Thorpe focuses on helping those doing good in the world. Author, advisor, Forbes contributor, keynote speaker, emcee, and trainer, Devin’s mission is to solve some of the world’s biggest problems before 2045 by identifying and championing the work of experts who have created credible plans and programs to end them once and for all. 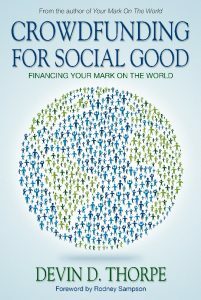 His latest book is Crowdfunding for Social Good: Financing Your Mark on the World. Follow him at @devindthorpe and DevinThorpe.com.